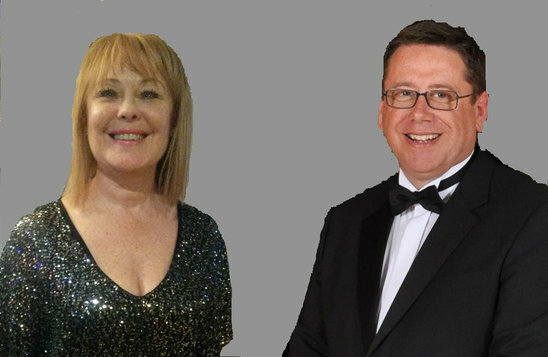 Janette and I are professional entertainers based in Yorkshire, we sing all the hits from the 50’s, 60’s and 70’s to the present day. A party band at half the price featuring popular hits from Disco and Motown. Background and easy listening music and singing can be provided for restaurants and dinners. 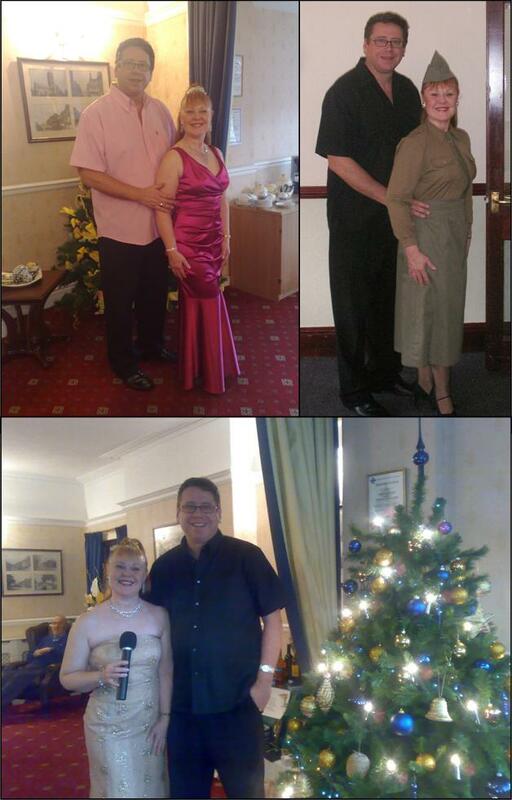 We personalise shows for birthdays and anniversary parties: Golden Weddings, 80; 90 and 100 years is our forte: dinner dances - playing the traditional waltz's, foxtrot's etc ending the night on some disco music if desired. 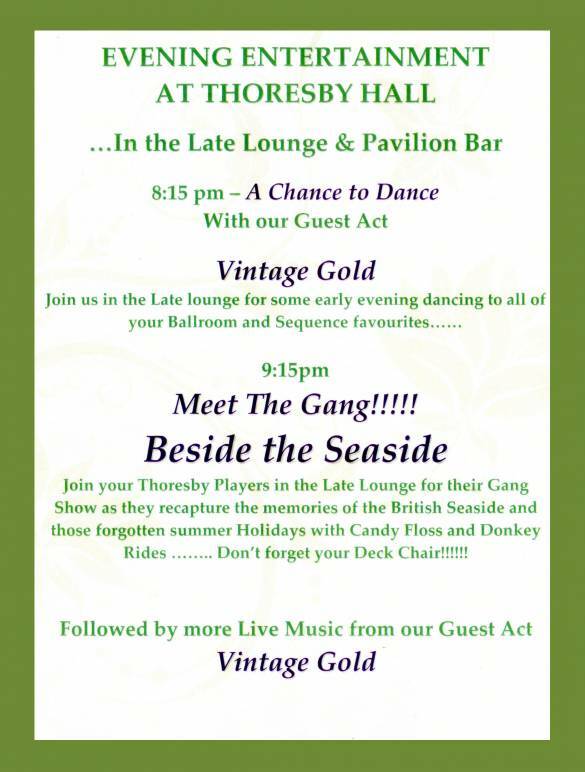 We can also perform a full show of songs from the 1940's such as Roll out the Barrel, The Siegfried Line, We'll Meet Again etc.. Bookings are being taken for our exclusively arranged shows for Valentine's Day, Mothering Sunday, St George's Day, Garden Parties and Remembrance Sunday. Our very popular “Christmas Cracker Show,” is available this Christmas singing everyone’s favourite Christmas carols and songs including Bing Crosby’s “White Christmas,” Doris Day’s “Winter Wonderland,” Judy Garland’s “Have Yourself a Merry Little Christmas” and Johnny Mathis’ “When a Child is Born.” to name but a few. “We hired Cinnamon via their website to provide dance music for our Masonic Ladies Night. We asked them to perform music for formal dancing from the 50’s, 60’s and 70’s and they did not disappoint. The range of songs and music was excellent and Janette’s singing was delightful. From the first waltz to the conclusion of their second set the dance floor was rarely anything but full. Many of our guest came up to us to compliment us on our choice of entertainers and we would not hesitate to recommend them as ‘a first class act’. 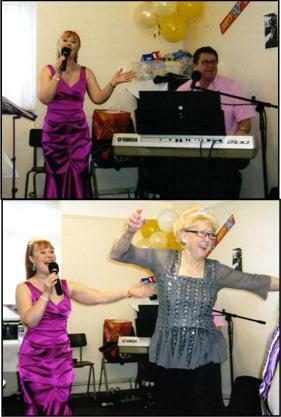 The entertainment you provided for our parents' golden wedding celebrations was excellent. Our parents throroughly enjoyed the surprise, and the music. Our older relatives enjoyed singing along, and we even noticed one or two young people joining in with some numbers. Many people asked where we had found you and were impressed with your slots. Please use this form to email me and to give rquirements as to location of venue, type of job and playing times. "Just to say a very big thank you for the entertainment last night It was fab. Everyone really enjoyed it". Just to say a big thank you for playing at our Christmas party. It was fantastic, everyone enjoyed themselves and it was all down to you two. We shall certainly be seeing you again . I am writing to thank you so very much for the entertainment you provided for us on Friday 12th February 2010. Everyone enjoyed it and you made our Valentine's Day party so wonderful, bringing so much joy and happiness with your songs. We would love it if you would come and entertain us again at a later date. I would have no hesitation in recommending you to anyone who was wanting professional entertainers for their event and I have passed on your details to others. With all good wishes for your continued success.